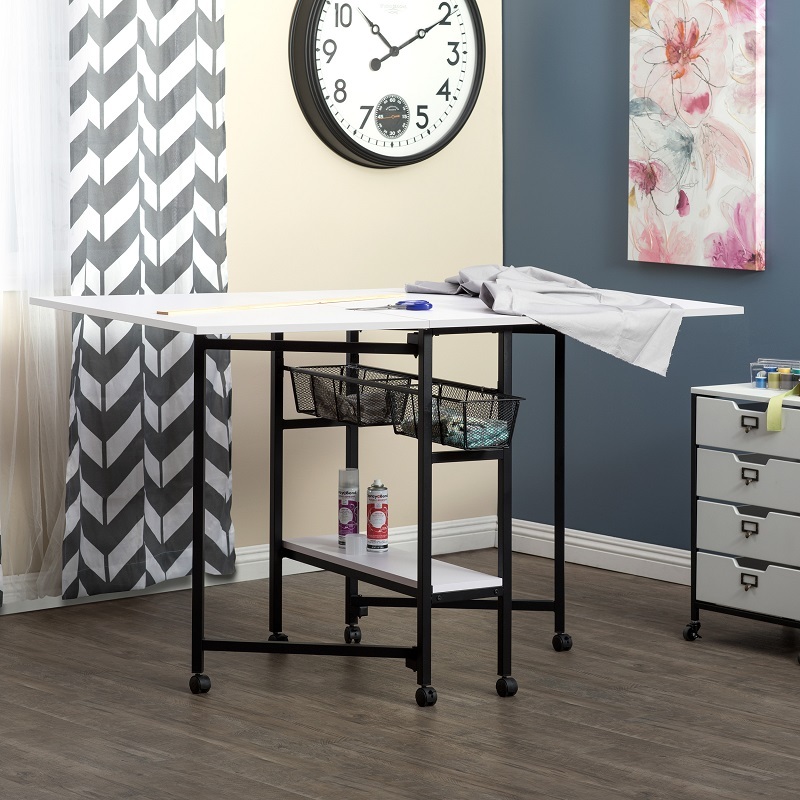 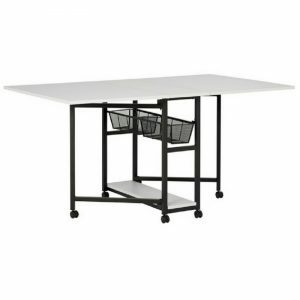 The Sew Ready Standing Height Craft/Cutting Table with Storage Baskets is constructed with a durable powder-coated metal frame and thick MDF tops. The two large drop leaf tops fold down to create extra space in your sewing or hobby room when not in use. 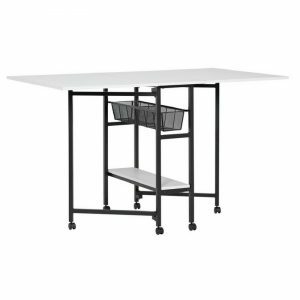 The 6 wheels allow you to move it to the perfect spot and 4 of them lock, to keep the table in place while in use. 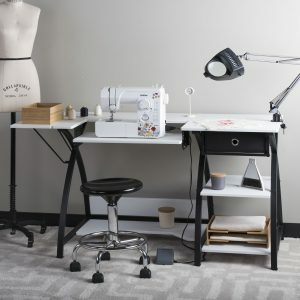 When the folding panels are up, the large table top can be used to spread out fabric and patterns or to work on large projects. 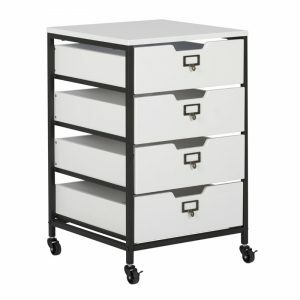 The two drawers organize your tools and supplies and slide out easily to keep them handy. 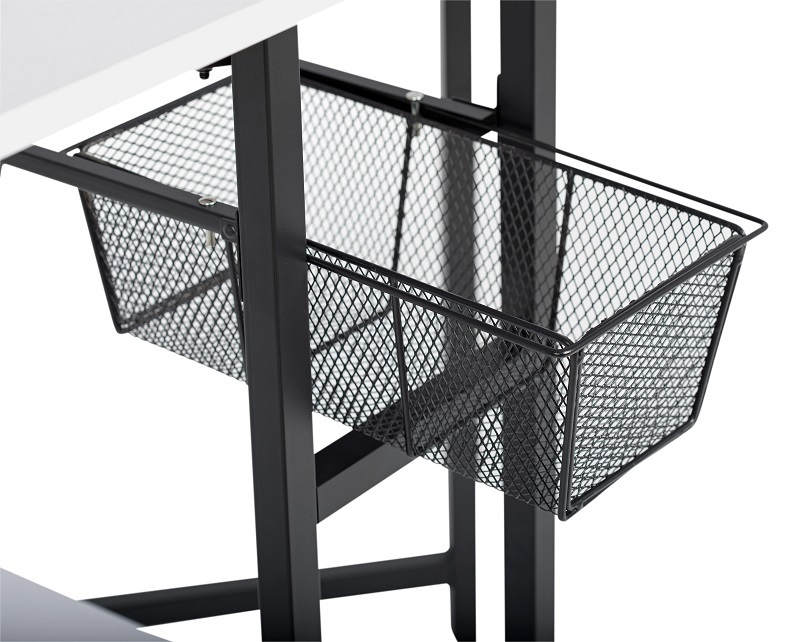 Their metal mesh construction allows you to see the supplies in each one. 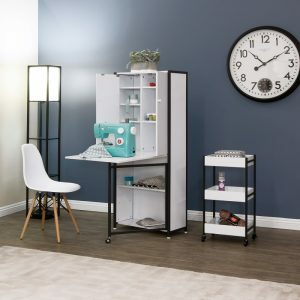 The bottom shelf runs the full depth of the table, so your sewing or craft supplies, or die-cutting machine can be stored. 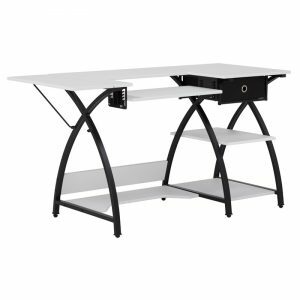 Because the height of this table is over 36” you can stand while working, so your back and legs are not strained from bending over. 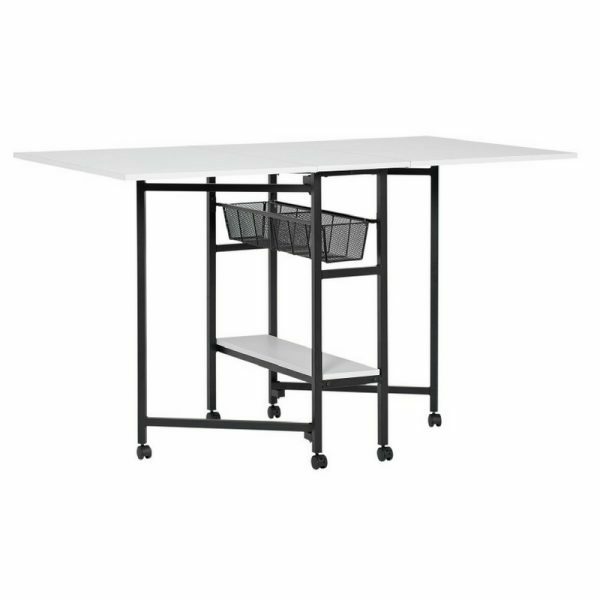 Just need a smaller table space? 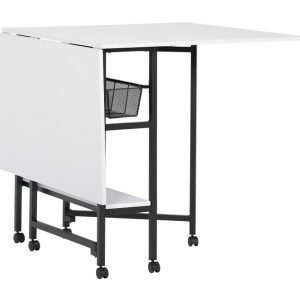 Open just one panel to use a 36” x 36” table top for a quick, small project. 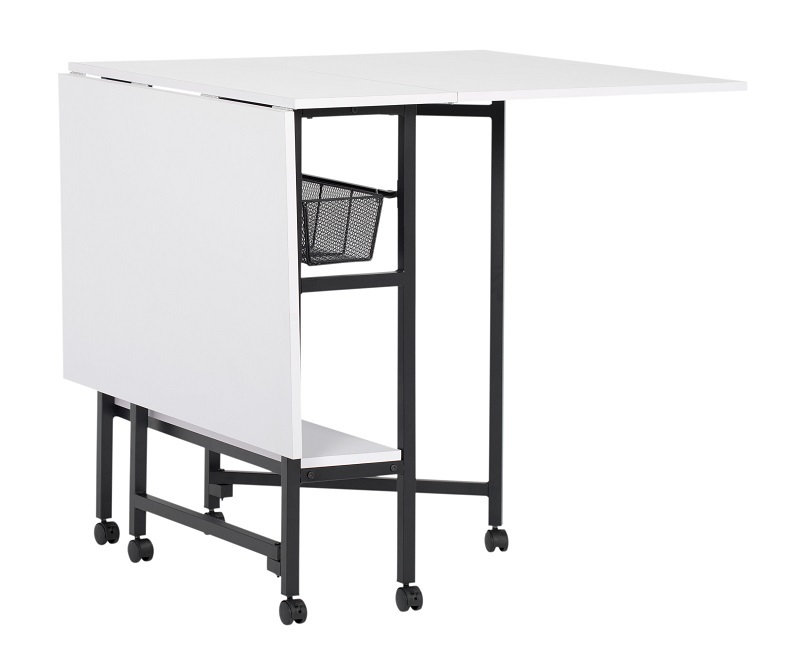 Weight Limits: Center/Bottom Panels: 50 lbs ea. 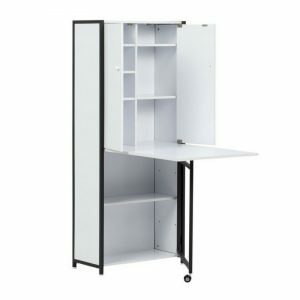 Side Panels: 25 lbs ea. 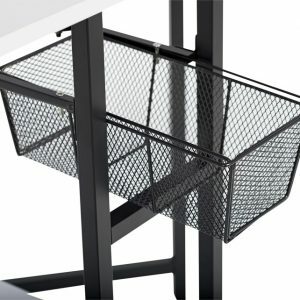 | Wire Baskets: 15 lbs ea.